We have over 75 Partner Colleges in 15 states and Washington, D.C. that are committed to serving DREAMers and prepared to offer you the support services you need to help you successfully navigate your college life – both on and off the campus. 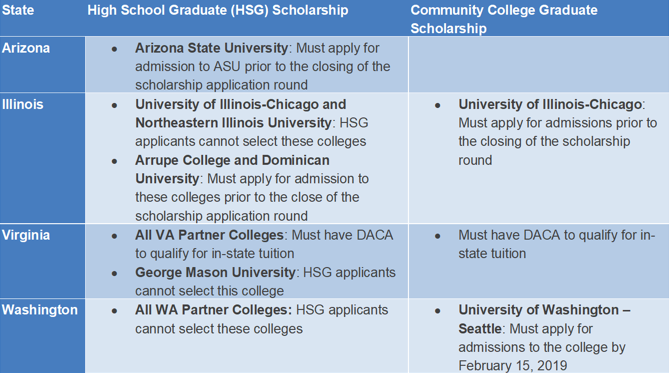 You must be admitted to and eligible for in-state tuition (if a public institution) at one of our Partner Colleges in order to receive our National Scholarship. Check our map to see if there is a Partner College that is right for you!